Early winter is the time to eradicate this weed pest, although I’ve noticed young growth of this weed in May on the Mid North Coast of NSW. 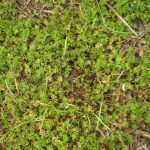 Bindii (Soliva pterosperma), or “Jo-Jo” as it is called in some places, or “onehunga” in New Zealand, is a delicate-looking lawn weed that produces carrot-top or ferny foliage. 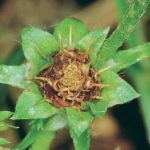 In late winter and early spring, each branch produces a rosette of spiky seed heads that detach from the rosette into individual seeds with a sharp spine that attach themselves to the soles of shoes, and make walking barefoot or sitting on grass a painful experience. By the time the plants produce seed heads, the branches will also produce roots from stem joints and removal is difficult. 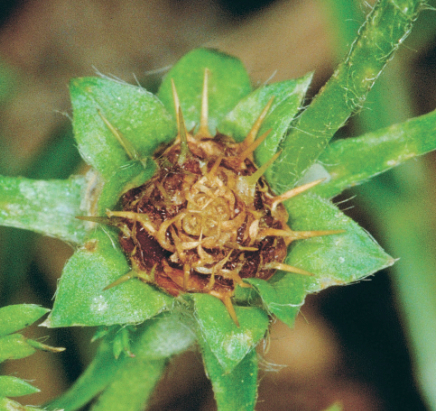 For successful removal this diabolical weed has to be eliminated before the seed heads form. 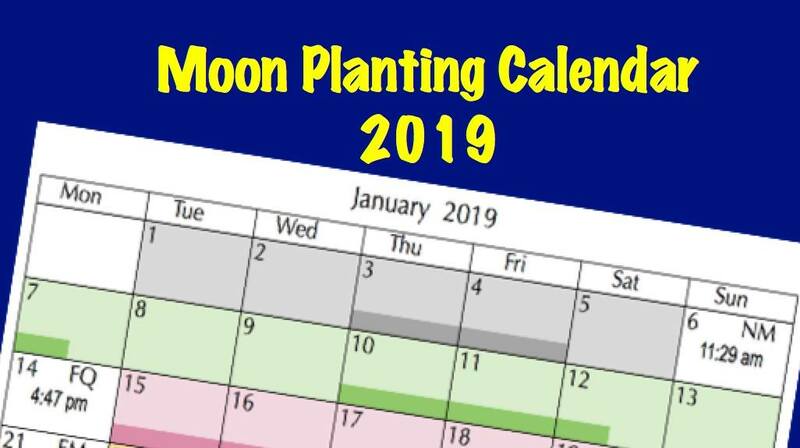 From now until the end of June is a great time for action, in any moon phase if seed heads haven’t formed. If you don’t have a steam or flame weeder, young plants are easy to dig out in early winter if you only have a light infestation. For more wide-spread infestations, the good news is that several companies have produced certified-organic weed sprays. Spot-spraying with Yates ‘Nature’s Way Weed Spray’ or Organic Crop Protectant’s ‘Slasher’ will burn off the weeds, while Organix’s ‘Weed Blitz’ works by removing the outer coating of foliage and seeds, causing cells to collapse. A Google search will direct you to a local supplier. Bindii is more common where lawns are undernourished. 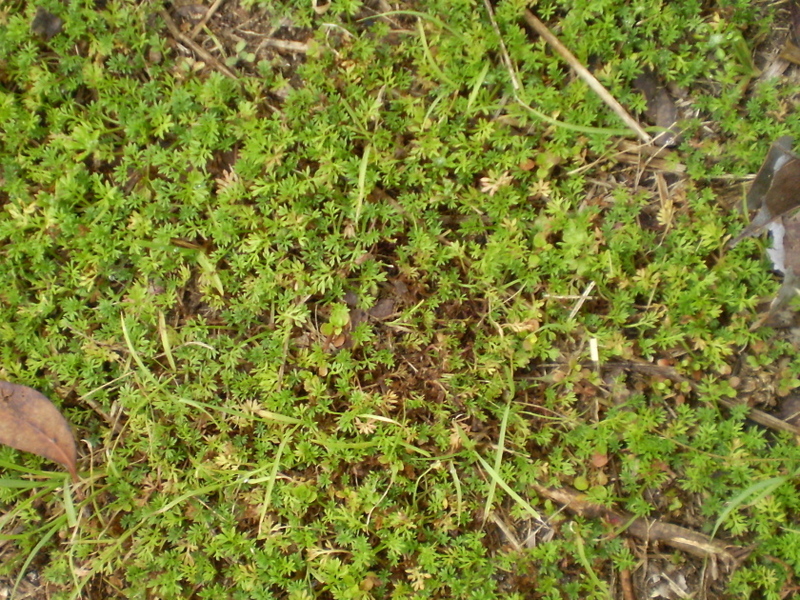 Vigorous lawns usually out-compete this weed. To avoid future problems, in late winter, water the lawn and fertilise with organic complete fertiliser and seaweed extract tea, and do not mow the lawn too short as this weakens lawn growth – raise the mower a notch or two. Dynamic Lifter granules are easy to apply to lawns. This entry was posted in Weeding between the lines and tagged Aussie gardening, Australian gardening, bindii, easy gardening, easy organic gardening, environmentally friendly gardening, gardening advice, healthy lawns, jo-jo, lawn weeds, New Zealand gardening, onehunga, organic gardening, organic weed sprays, plants, Soliva pterosperma, sustainable gardening, weeds. Bookmark the permalink.